On 15th August 2015 India will celebrate its 69th Independence day. Even though I am thousands of miles away from my motherland India I will be rejoicing the day in my own way. I have planned few looks around the Tricolors dressing up for Indian Independence Day. 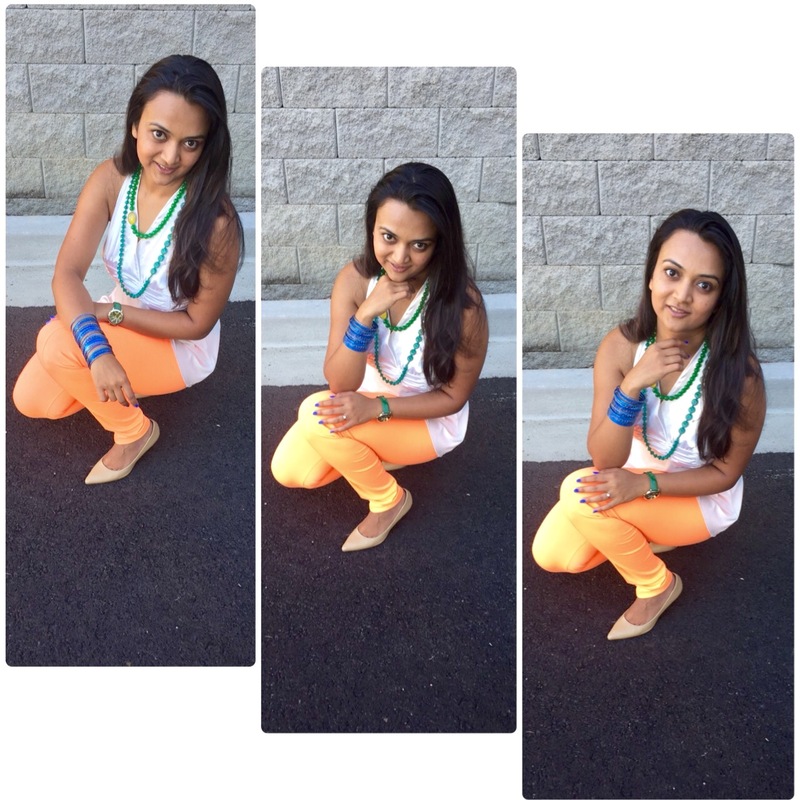 We Indians love wearing colors and dressing up for Indian Independence day is no exception. Tricolors are a tricky combination, am sure you all will agree. 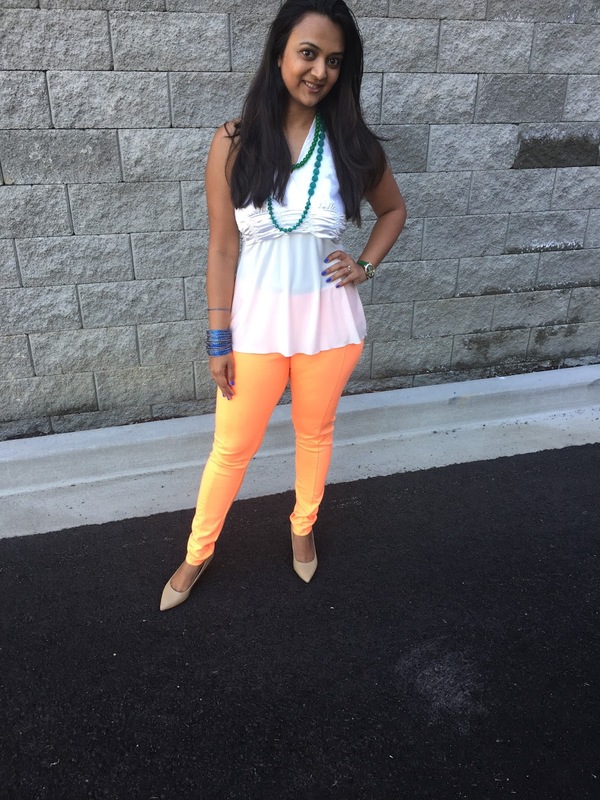 The colors saffron, white and green are a beautiful combination when styled in proper proportion else the look can be quite a disaster. 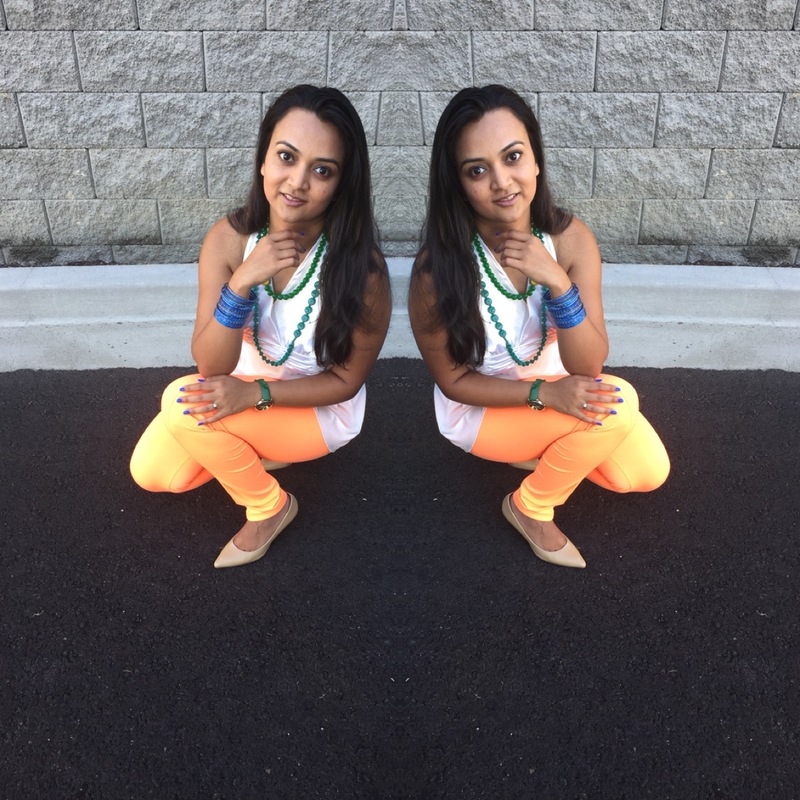 I am pretty excited to create different looks for Indian Independence day. So firstly, I gathered everything that I could find in my closet that was close to the Tricolors and yes finding the exact shade is quite impossible unless you go shopping for it. 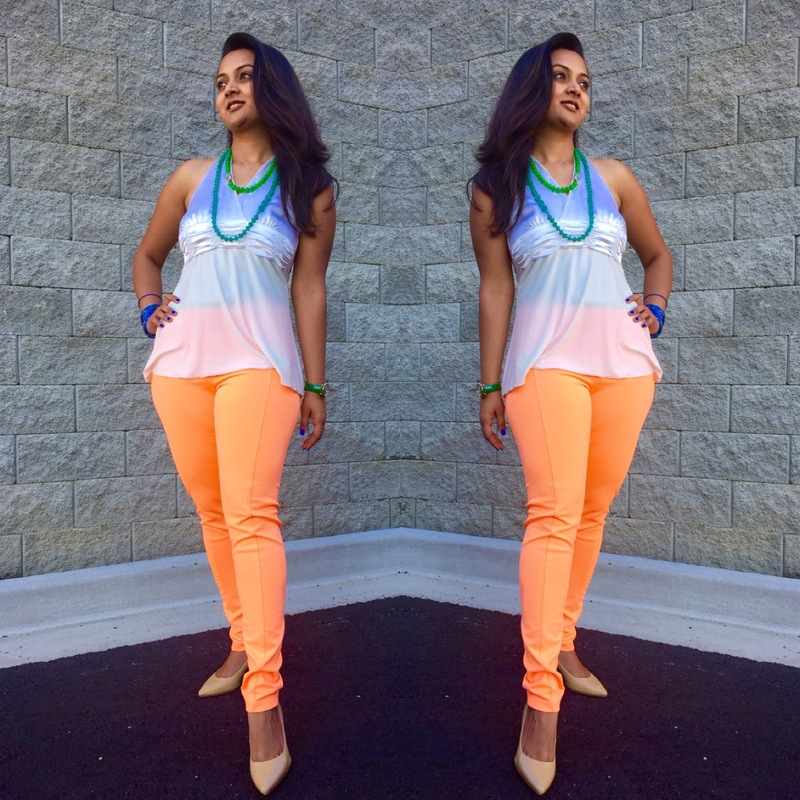 Luckily I wear a lot of bright colors so could find few pieces that I could put together. So here's my First look, but hey Stay tuned you will be seeing another outfit tomorrow ! Loved ur outfit n the presentation of the post. Happy independence day to u ! Very cute! Happy Independence Day! Happy Independence Day. I am sure there are so many fun celebrations. Very apt for the occasion! Lovely ..very nice...Happy Independence day to everyone..
Nice combination that blends well. Extremely chic Ananya ! Love the dress.